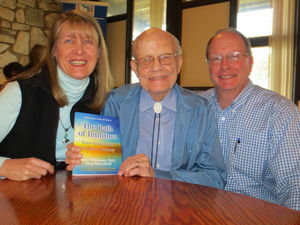 Elmer Green, PhD, author of Beyond Biofeedback, praises The Path of Intuition. In the beginning of April, 2013 Greg and I attended the Council Grove Conference that was founded in 1969 by Elmer Green, PhD, founder of Clinical Biofeedback. There, in a breakout session, we gave our first public presentation of a Conversation with All That Is. 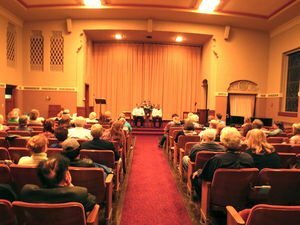 People in attendance asked if we had recorded the session in hopes that they could listen again to the interesting questions and answers. So the next week, when we gave a presentation for Fowler Jones, PhD, and the Psychic Studies Institute in Kansas City, we recorded that for you to hear. Greg Meyerhoff and Anne Salisbury, PhD, speak in Kansas City at Unity on the Plaza for Psychic Studies Institute. The wisdom of All That Is is also brought to you in our book, The Path of Intuition: Your Guidebook for Life’s Journey. In it you discover what it is like to grow up intuitive (psychic) and how you, too, can walk the path of intuition and find more purpose and joy in your life. Question: How can you make better decisions using your intuition? Ask to make better decisions by using your intuition. Make this your focus. Believe that you can do this. Trust that it is within you to do this. Take action to move ahead. For example, sit quietly, let your body become still, and meditate to calm your mind. Ask that your emotions be quieted as well. It may take a while to become neutral if a situation is bothering you. You may add exercise into this formula to help you focus more clearly on who you are in the present moment. Also, through exhausting yourself physically, you can burn off mental chatter and emotional garbage that may have held you down. All of these activities can give you better access to Source and, thereby, to your intuition. As you sit quietly, loving yourself, believe that you have the ability to access Source. Trust that all information will come forward as needed. Review your question. Ask it. Wait. Listen. Stay in meditation for a time to ensure that you have opened the intuitive channel to Source. Notice if there are any energies interfering with your reception. If so, ask that they be cleaned out. Check the connection from the top of your head to Source to see if the light is flowing freely. If there is difficulty there, ask that the situation be improved. In other words, as the creator in your world, take action by maintaining your body, which allows you to be here. Sit with joy in your heart and feel truly grateful for who you are. Know that the answer is forthcoming.. 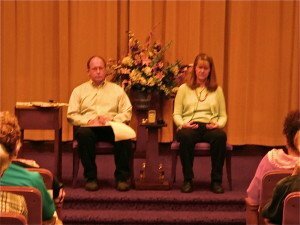 Listen to the 5 minute audio from the questions and answers from the channeled Conversation with All That Is in Kansas City, April 5, 2013. “What about the quickening and fireworks of 2012?” In it you will hear information that is universally applicable to your life today.